Sergio Marchionne: Candid, tireless, shrewd and transparent in a relatively short but remarkable career in the auto industry. "Unfortunately, what we feared has come to pass. Sergio Marchionne, man and friend, is gone," Elkann said in the statement issued Wednesday by Exor, the holding company for the controlling Agnelli family. Manley, addressing analysts Wednesday after FCA released second-quarter earnings, called Marchionne "a very special, unique man" and said "there is no doubt that he's going to be sorely missed." 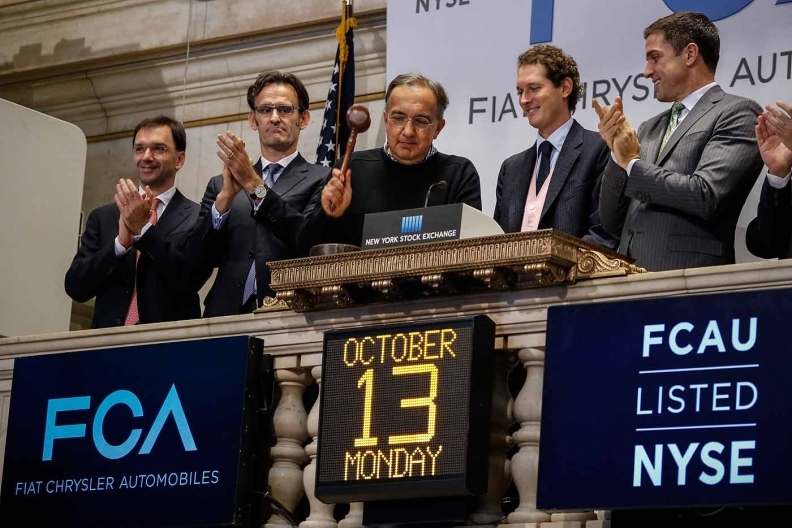 Fiat Chrysler CEO Sergio Marchionne, center, rings the closing bell alongside other top company executives to celebrate the automaker's stock debut on the New York Stock Exchange on Oct. 13, 2014. 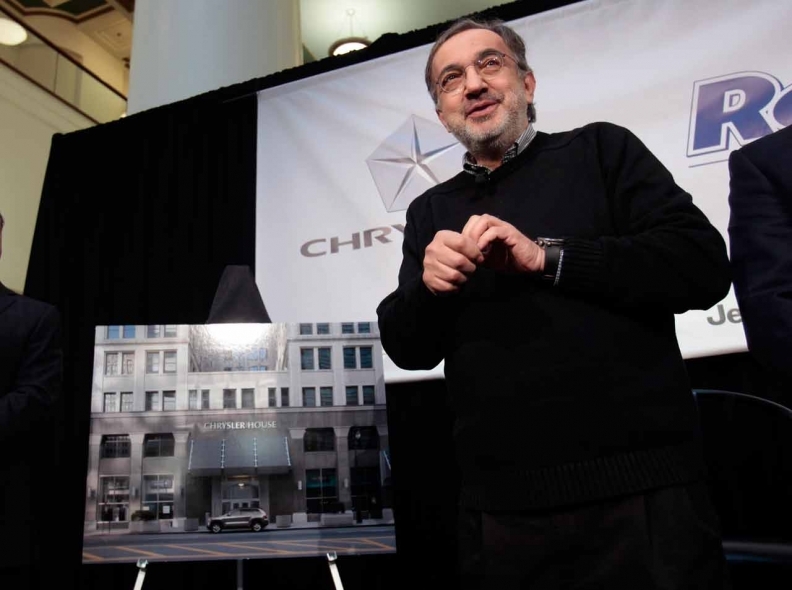 Sergio Marchionne following an announcement that the Chrysler Group will move some employees into downtown Detroit's Dime Building and rename the historic tower Chrysler House on April 30, 2012, in Detroit. 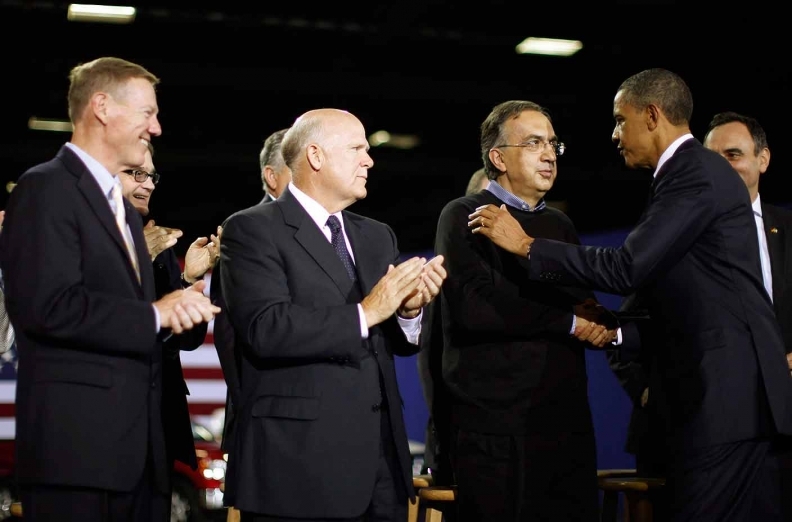 President Barack Obama, right, greets Marchionne as Ford CEO Alan Mulally, left, and General Motors CEO Dan Akerson, second from left, look on after Obama delivered remarks on a new program to improve light-vehicle fuel efficiency, in Washington on July 29, 2011. 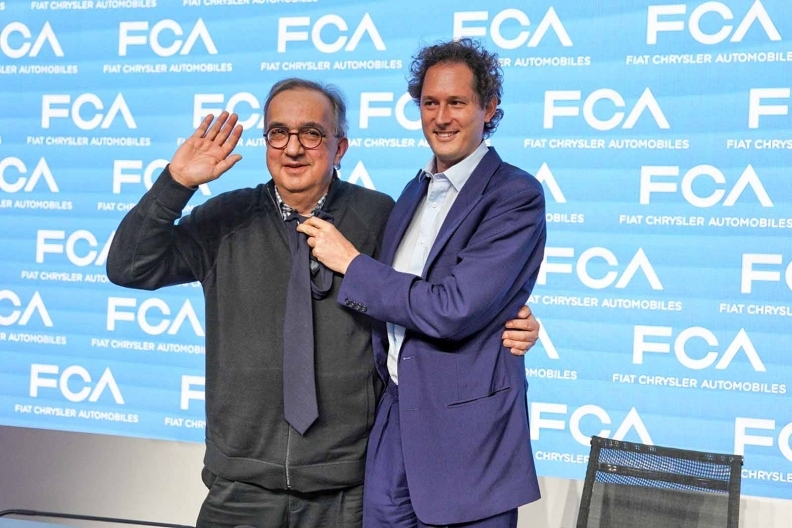 Fiat Chrysler Automobiles Chairman John Elkann, right, holds a tie in front of FCA CEO Sergio Marchionne, following the presentation of the automaker's five-year plan at the Balocco test track near Turin, Italy, on June 1. 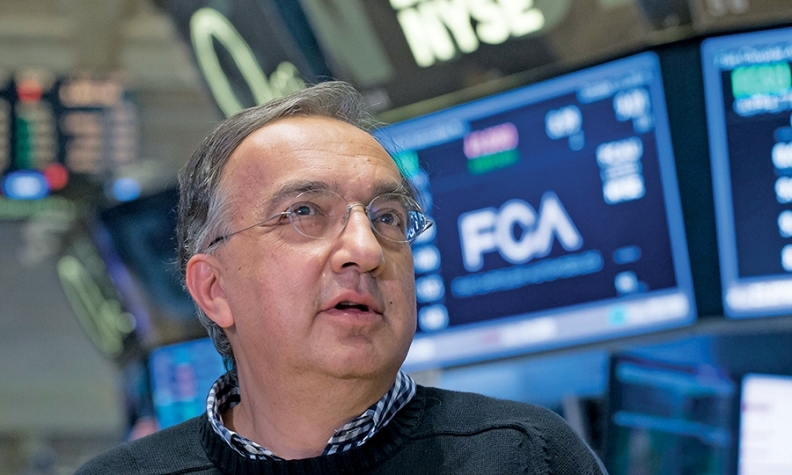 Marchionne made good on a pledge to guide the automaker out of debt, and told investors FCA will institute a dividend for the first time since the company's formation from its U.S. and Italian predecessors. Larry Vellequette and Reuters contributed to this report.